There has been much written about the existing and recognised Chakra System. Many varieties and interpretations of application and meaning have been devoted to these, and they have assisted many. However, we are now in a New Era – and along with this we are developing and evolving a higher spiritual potential through a more evolved subtle energetic structuring. This is a momentous time in the Planet’s history, filled with massive change opportunities. Some are following dark roads, whilst others are seeking more of the Light. 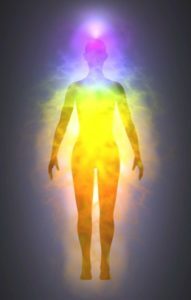 Those seeking the Light can find an enhancement of well-being in this new anatomy, giving them extra ‘muscle’ and protection as they navigate the plethora of energies – good, bad and just plain uncomfortable – during these current times. 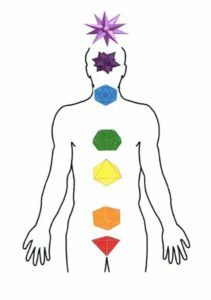 For a variety of reasons I have found it necessary to dedicate a separate website to these relatively new Chakras and their anatomy. This new main resource website focuses on these alone. 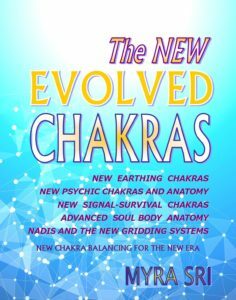 So if you wish to know more about this latest etheric revolution available to humanity, and this site doesn’t give you enough information, then you can go to newevolvedchakras.com for more info.